43 years, 2 months, 23 days old age. 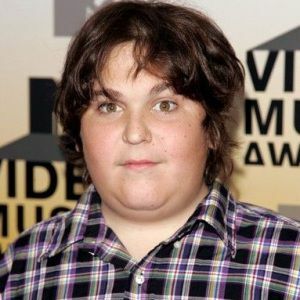 Andy Milonakis will turn 44 on 30 January, 2020. Only 9 months, 7 days, 18 hours, 26 minutes has left for his next birthday. Andy Milonakis has celebrated the total number of 43 birthdays till date. See the analysis by days count and bar graph. Andy Milonakis (popularly called Andy) was born on 30th January 1976 in a town of Katonah in New York, United States.He is an American Actor Writer, Rapper, and Comedian known for shows like Waiting (2005), Jimmy Kimmel Live (2003) and The Andy Milonakis Show (2005). He is of Greek descent and successor to the Tom Green throne. After completion of his high school, Andy for his love for technology took up a tech-support position in a local accounting firm and during his spare time, he recorded humorous video vignettes for his friend's website AngryNakedPat.com. So on January 26th, 2003 on the day of Super Bowl, he decided to record a video “The Super Bowl is gay” and posted it on his friend’s website. This video apparently went viral within two weeks. He was spotted by the writer of ABC’s new late night show Jimmy Kimmel Live and got Milonakis into the show. He is best known for creating and sharing in The Andy Milonakis Show on MTV and MTV2. Milonakis wants to use comedy as a means to cope with incessant bullying. He once said that “Humor is a great defense mechanism”. He suffers from a growth hormone deficiency which makes him look like an adolescent boy despite being a fully adult man. This congenital growth disorder gives him an outward appearance and voice that of an adolescent boy though he is an adult. He is not very comfortable talking about his disorder. He has been into hip-hop all his life and is a big fan of deceased hip-hop anchor Lamont Coleman. He considers himself as hip-hop MC.